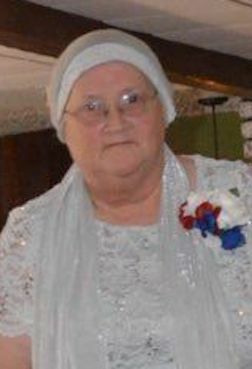 Eileen J. Blackwell, 62, of Frackville, passed away Saturday, March 23rd, 2019. Eileen was born in Shenandoah on February 8, 1957, a daughter of the late Gladys (Klemavage) and Franklin Knipe. She was a graduate of the Hazleton High School and was a member of St. John's Lutheran Church in Brandonville. Eileen enjoyed crocheting, crafting, doing puzzles and gardening. Family was very important to her and she cherished her grandchildren and great grandson. She is survived by her husband of 45 years, James Blackwell of Frackville and children: . James II Blackwell, and his wife Jeneen, of Mahanoy CIty; Christopher Blackwell, and Nicole Dinofa, of Lost Creek; Matthew Blackwell, and Jessica Catherman, of Frackville; and Sarah, wife of Jeffrey Fritz , of Nanticoke. Two brothers; John Knipe, and his wife Patricia, of Ashland; and Keith Knipe, and his wife Theresa, of Sheppton and a sister Lois, wife of Thomas Butler, of Frackville also survive as does eight grandchildren; Jimmy III, Bethann, Courtney, Jeffery, Austin, Cheyenne, Justin and Kailey and a great grandson, Marc, along with nieces and nephews. A funeral service will be held at 11 AM on Thursday, March 28th at Stauffer-Breznik Funeral Home, 412 West Main Street, Ringtown, with Rev. Bruce Nobel officiating. Relatives and friends are invited to attend Eileen's viewing from 9 AM to 11 AM on Thursday, March 28th at the funeral home prior to the service. Eileen will be laid to rest in the Brandonville Union Cemetery following the services.